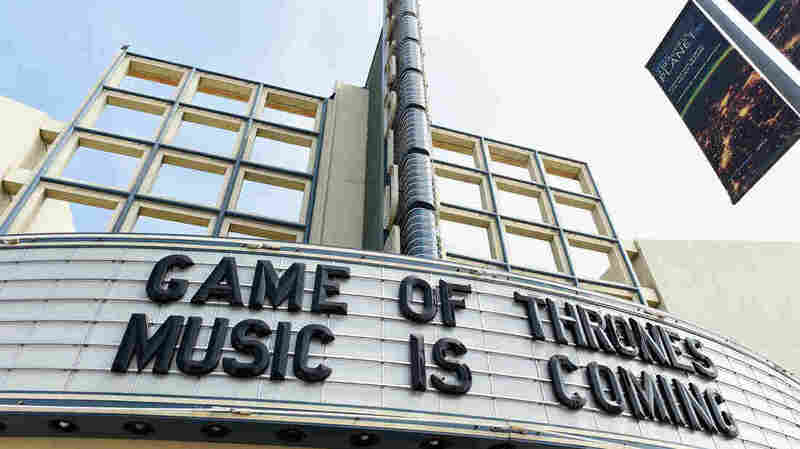 'Game Of Thrones' Composer Ramin Djawadi On Melodies That Stick While preparing to take the Game Of Thrones concert experience on the road this spring, Djawadi spoke with NPR's David Greene about his composing process. He says it all starts with a hum. This spring, Ramin Djawadi will lead an 80-piece orchestra across the country for the Game Of Thrones Live Concert Experience. It was The Magnificent Seven that inspired Ramin Djawadi, the musician behind Game Of Thrones' iconic soundtrack, to become a film composer. "You would turn the movie off and those melodies would stick with you," he says. "It's something I love about movie scores — that when you leave the theater you can still hum the themes and relive the movie without even watching it. It's just the music that lives on its own." 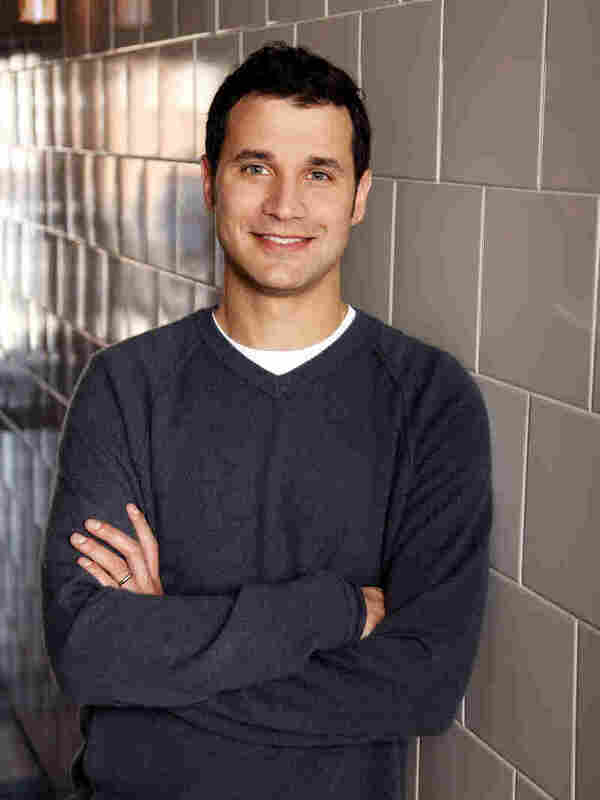 Djawadi witnessed the world of American westerns from Germany, where he grew up learning to play the organ. From there, he rode off into a career composing music for movies and TV. This spring, Djawadi's taking his show on the road with an 80-piece orchestra for the Game of Thrones Live Concert Experience. He sat down with NPR's David Greene to talk about his process of composing the music for the show. Read an edited transcript below and listen to the full interview at the audio link. David Greene: Does it take a different kind of musician to compose music for television? Ramin Djawadi: Yes and no — I think a melody is a melody. I usually start writing my themes without even writing to picture, just trying to find the tone for the movie or the TV show. What do you know about it when you start, if you haven't seen anything? Many times it's just based on a conversation with the director or the producer. Or I read the script, or watch it — if I have some rough cut in front of me, I'll watch it once. But then I just let it run in the background and start writing. Once you have that [composition], then you can apply it to picture, because the length of the pieces and what they have to do dramatically changes from piece to piece. Then you really have to go in and fine-tune the melodies and emotions to what is needed in the scene. So you have these early conversations, you come up with a general feel for the score, and then you start fine-tuning as you see the images and get to know the characters. Is that what you're saying? Ramin Djawadi is the composer behind the themes for Game Of Thrones and Westworld. Correct. In the case of Game Of Thrones, before I started writing I sat down with [David Beinoff and D.B. Weiss]. We talked about the tone of the show, and I just listened to what their vision was. ... They'll say, "We really like this instrument, do you think you can make this work? We like the violin, we don't like this." All that information helps me, and then I go in and actually turn that into music and go from there. What's an example of something they might have said as you were collaborating? One thing we always laughed about was that they said, "We don't want any flutes." There was a no-flute rule for Game Of Thrones? There was a no-flute rule! Just because, stylistically, it was something that we felt was used in the genre before, and we wanted our score to be different. ... So the big instrument that we actually came up with was the cello. It has a big range, it can play really low and high, and it has a dark sound. Game Of Thrones is obviously a dark show, so the cello became the featured instrument. You were telling me earlier that sometimes ideas strike you at the weirdest hours. What does that look like? Do you sneak out of bed and start recording something? I used to just scribble things on a piece of paper whenever an idea came to mind. Now with cellphones, that's gotten a lot easier. I can just take it out and sing into my phone. Sometimes I just wake up — usually at night, actually, at night or first thing in the morning, that's when I have ideas because it's quiet. I sneak into the bathroom so I don't wake up my wife. What do you do then? Are you humming? Yeah, humming — sometimes I whistle. The main title theme for Game Of Thrones, for example, I was humming in my car after I saw the visuals. As I was driving back to the studio, I had the idea to the theme. Wait a minute — you were in your car, humming what has become one of the most iconic themes on television. Yeah, that little melody can just come at any time.